When touching down at your destination, the last thing you need is to be caught off guard by fees you weren’t aware of. To keep our users prepared, FltPlan has added airport and FBO fee information from the AOPA database to many of our airport listings (Airport/FBO Info Page > Airport & FBO Fees Button in green). 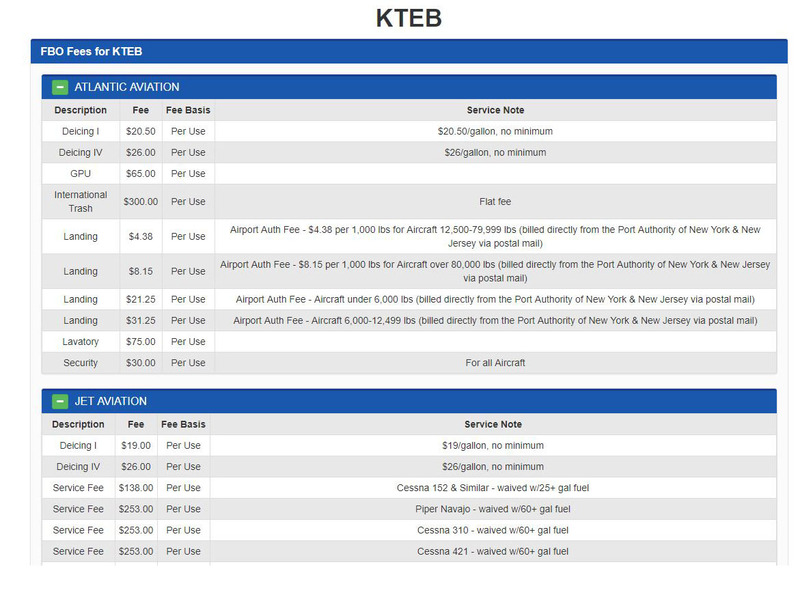 Accessible through FltPlan.com, FltPlan Go, and Garmin Pilot, this free listing provides users with a concise, comprehensive overview of the different fees they may encounter. Pilots looking to be prepared for these fees on their next flight can take advantage of this feature on thousands of different airports that report them. FltPlan Manager is a premium program that gives charter operations, large flight departments, and fractionals control of the day–to–day flight planning activities of their fleet from a single, administrative account. Access to multiple aircraft accounts allows department heads, schedulers, and dispatchers immediate visibility to scheduled flights (including filing status, EDCT information, and flight tracking data) and access to individual aircraft accounts when changes are necessary. For more information on FltPlan Manager, please contact 203–262–8500 or send an email to FPM@FltPlan.com. To better serve you, we’re teaming with Garmin on Twitter and we’d like to invite you to follow us, @GarminAviation. Here you’ll get great news on all of the latest FltPlan.com services as well as Garmin Aviation products. We appreciate your interest. Flight Plan LLC, a Garmin Company, P.O. Box 159, Southbury, CT 06488 • © 2019 Flight Plan LLC, A Garmin Company. All rights reserved.